Walking hand in hand on the expansive beach, as eagles ride the ocean breeze overhead, you can let the water wash over your toes. This is the place where memories are made, where families come back year after year. Like having your own seaside cottage, but all the work is taken care of for you. Rooms that make you say “ahh” when you open the door. Can all this beauty only be approximately three hours from Seattle? Yes. The cozy Clipper Inn at Pacific Beach, 45 Main Street Pacific Beach WA. 98571, is family owned and operated. We love our little stretch of the beach and love to share it with our guests. 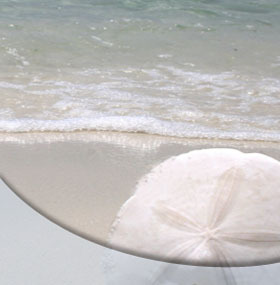 We are here to help you experience the beach in a comfortable, calm, and quiet way. Enjoy the breath-taking beauty of the Washington coast from our gorgeous, close to the beach accommodations. Whether you’ve come to soak up the sun, relax or to go cold-water surfing with eagles and whales. The beach is one block out the front door where you can have a barbecue, beach family picnic, roast s’mores over a campfire or watch a storm roll in. If you would like to take a short day trip, Lake Quinault near the spectacular Hoh Rain Forest is only 45 minutes away in the Olympic National Forest, great places for hiking. There’s something for everyone when you stay at Pacific Beach. Pacific Beach is a very small remote area, it is known for pristine beaches and natural beauty. The perfect place to relax, reflect, fly kites, build sand castles or just enjoy a campfire.